Astigmatism, near-, and farsightedness have all classically been alleviated with eyeglasses or contact lenses. During the past 20-some years, however, LASIK has represented a third option. The Internet and some media outlets have promulgated the misinformation that LASIK is dangerous, etc. In actuality, it is one of the safest and most highly-regarded elective surgical procedures, recognized worldwide as a treatment option elevating quality of life for individuals seeking improvement to unaided vision. I have often performed this surgery—on my sons and daughters, and on colleagues and friends. 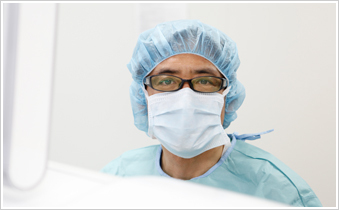 We must continue providing safe, high-standard treatment for the sake of individuals requiring LASIK, as well as for the future of refractive surgery in Japan. Comparative analysis of the visual and refractive outcomes of a refractive segmented multifocal intraocular lens with and without toricity: 1-year results. Jpn J Ophthalmol. 2017 Mar;61(2):142-149. Visual Outcomes After LASIK Using Topography-Guided vs Wavefront-Guided Customized Ablation Systems. J Refract Surg. 2016 Nov 1;32(11):727-732. doi: 10.3928/1081597X-20160718-02. Effects of laser in situ keratomileusis on mental health-related quality of life. Clin Ophthalmol. 2016 Sep 26;10:1859-1864. Apparent progression of presbyopia after laser in situ keratomileusis in patients with early presbyopia. Am J Ophthalmol. 2014 Aug;158(2):286-92. doi: 10.1016/j.ajo.2014.05.006. Combination therapy with diquafosol tetrasodium and sodium hyaluronate in patients with dry eye after laser in situ keratomileusis. Am J Ophthalmol. 2014 Mar;157(3):616-22.e1. doi: 10.1016/j.ajo.2013.11.017. Copyright 2013 Kazuo Tsubota All rights reserved.